VideoShow is ranked as the No.1 video editor & video maker app in many countries. It’s the choice of 200 million users! The app has received numerous honors in the app markets, and has gained more than 2,000,000 five-star ratings. It was also included in the list of Best Video Editors. VideoShow offers excellent video editing features. 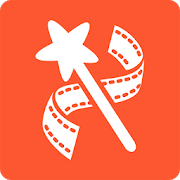 In this movie maker/video cutter/photo editor/gif maker, creating a video or slideshow with photos, pictures, music, stickers, sound effects is easy and fun. Young film makers can even beautify your videos or music clips with texts, FX, effects, GIFs, stickers, multi-music, photo filters, transitions, sound effects or live dubbing, almost anything you want in a creative and personalized way. Make your own vlog. Record your precious moments like wedding/birthday/Thanksgiving Day/Christmas Eve/Christmas.